"An easy way to get access to the Bible and read it at your computer." 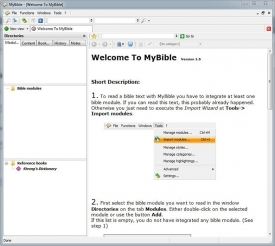 A free program allowing you to read the Bible when ever you want, MyBible comes in two languages by default - English and Dutch, and is ready for you when you need it. If you are just reading, referencing, or looking for some insight - You can have the entire bible at your fingertips by downloading the software right here at Rocky Bytes and using it when ever you need it . You are able to add different languages of the bible to the application if you have the language files to support it, but by default the application support English and Dutch. MyBible is a German made application that is simple to use, easy to navigate, and provided to you for absolutely free so you can practice your faith comfortably at the computer when you have the free time. It is nice to have the bible in a place where you can always find it, and why not at your computer? Instead of referencing the bible online - you can have it available at all times on your desktop and ready when you are. 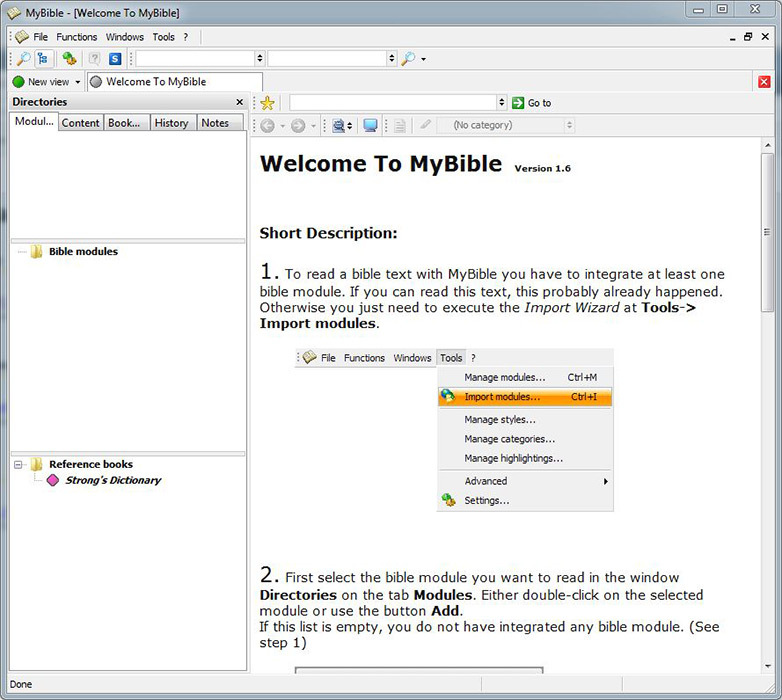 MyBible supports all of the largest commercially made bible programs so you can manage all of your different versions of the bible in one place, easy to access, and ready to go when you are. MyBible also has a small community that backs the project and opens up dialog for good, new changes to the program from users just like yourself. If you are interested in downloading MyBible, click on the download link at the top of the page!